We operate with more than 150 luxury coaches, minibuses and limousines with average age of 2 years. 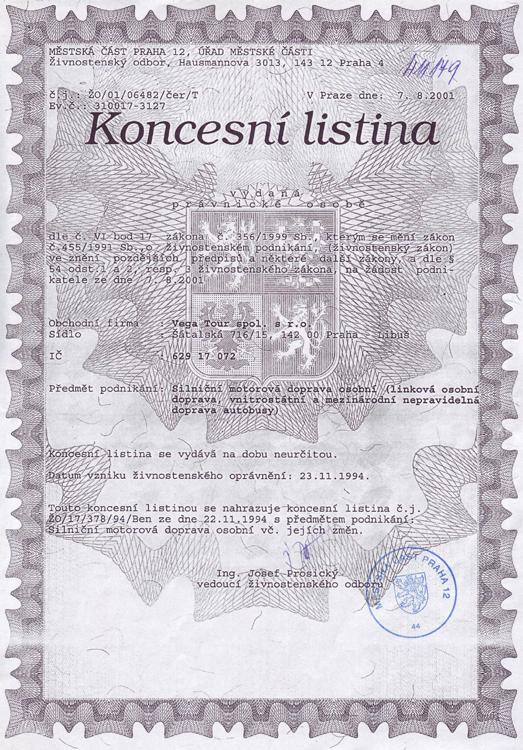 Below you can find our company registration license for coach transportation, which shows you we are fully certified and legally allowed to conduct this kind of business. 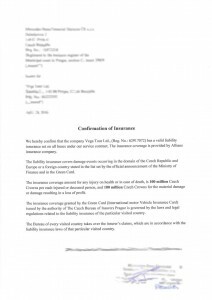 To cover and protect our clients that travel with us, Vega Tour is insurred with a premier insurance firm Česká pojišťovna a.s., to the highest possible amount. 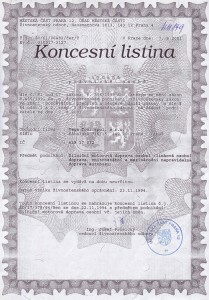 For your convenience, below, you can find a photocopy of our insurance certificate. 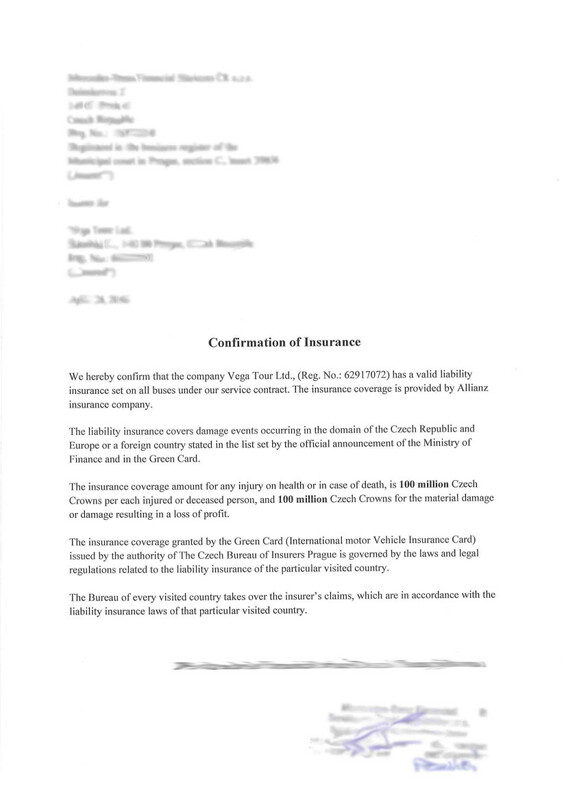 We also follow the European directive regarding the insurance of vehicles Motor Insurance Directive 2002/0124 (COD).